delivered is one all educators must hear and see. practical, classroom tested techniques. 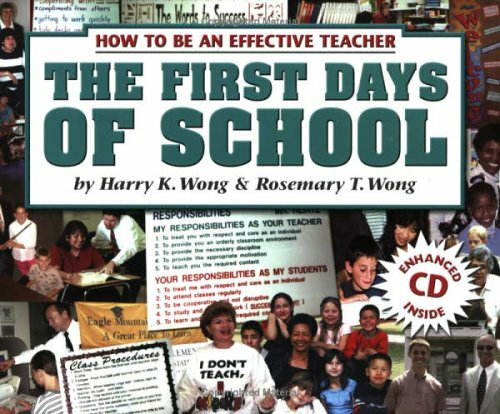 Wong's expertise is also available in videos designed to be used for teacher training and staff development in-services. The Effective Teacher (1991), a series of eight videocassettes, features common-sense, research-based, noncontroversial information and techniques. He has also used the video format in Inducting New Teachers Into the Profession (1991). How You Can Be a Super Successful Teacher (1984) can be found on audiocassette. Dr. Harry K. Wong is married to Rosemary (Tripi) Wong, his co-author, collaborator, and co-founder of the Harry K. Wong Publishing Co. of Sunnyvale, Calif.